I’m slowly making progress in the latest catastrophe of level design from Giant Bomb’s Dan Ryckert. I’m slowly making progress in the latest catastrophe of level design from Giant Bomb’s Dan Ryckert. 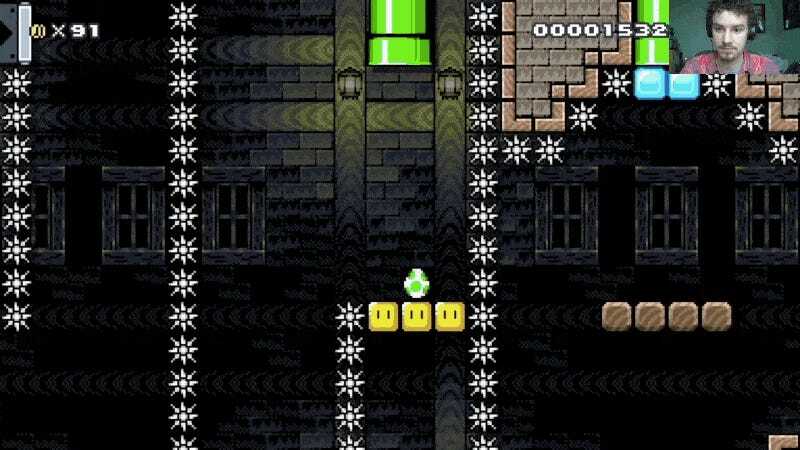 Dubbed The Armageddan—F8D1-0000-011D-7B5B—it’s yet another set of devious puzzles, tough platforming, and endless misdirection. Watch me play it here. I’ll eventually beat it, so the world may feel safe again.